Sai Kumar, Not Mohan Lal to play NTR’s Father in Jantha Garage. 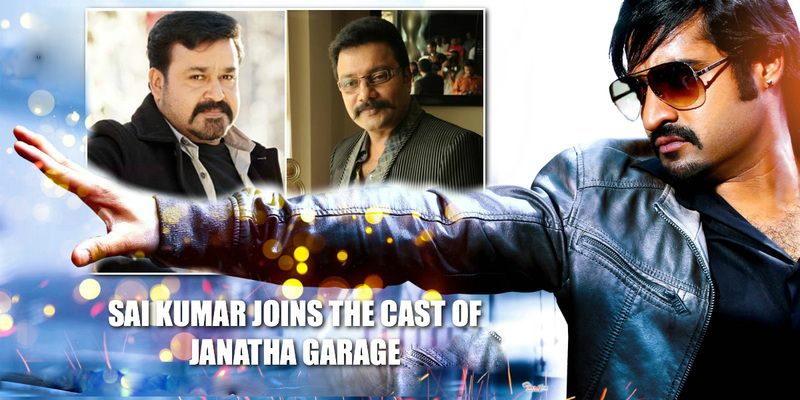 Home/NEWS/Sai Kumar, Not Mohan Lal to play NTR’s Father in Jantha Garage. Sai Kumar, Not Mohan Lal to play NTR’s Father in Jantha Garage. Mohan Lal was rumoured to play NTR’s Father, but it turns out Veteran actor Sai Kumar to play the role of NTR’s Father. Popular Telugu actor Sai Kumar will play Jr. NTR’s father in upcoming Telugu drama “Janatha Garage”, which went on the floors here on Monday. “Sai Kumar will be seen as NTR’s father and Mohanlal will be seen as his uncle. This is a family drama and it focuses on the relationship between Sai Kumar and Mohanlal and the rift that separates their families apart,” tells a source. Samantha and Nithya Menen feature in the lead roles while Janatha Garage’s music will be composed by sensational director Devi Sri Prasad. NTR will join the sets from March 5. The film, which is produced by Mythri Movie Makers, will hit the screens on August 12.